"I just moved here from New York and I always dress head-to-toe in black. It's kind of the way things go." Yay for detail on all-black coats. The collar, white stitching around the buttonholes, and buttons themselves lend a fluidness to the coat that refuses to let it be *just* a black trench. Good job Matt! 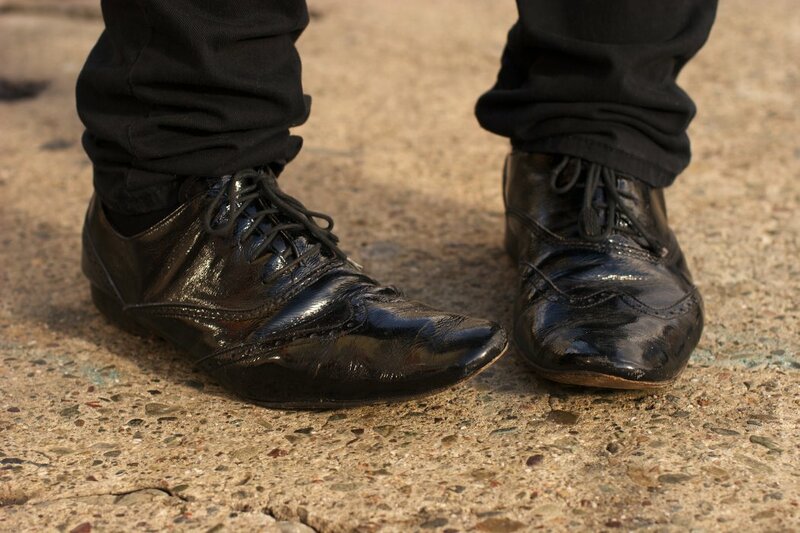 Well-worn, (sidebar: I really like how guys wear their shoes, how character is shown in the wear pattern) patent leather Marc by Marc Jacobs shoes from "3 or 4" seasons ago. This guy is seriously hunky. 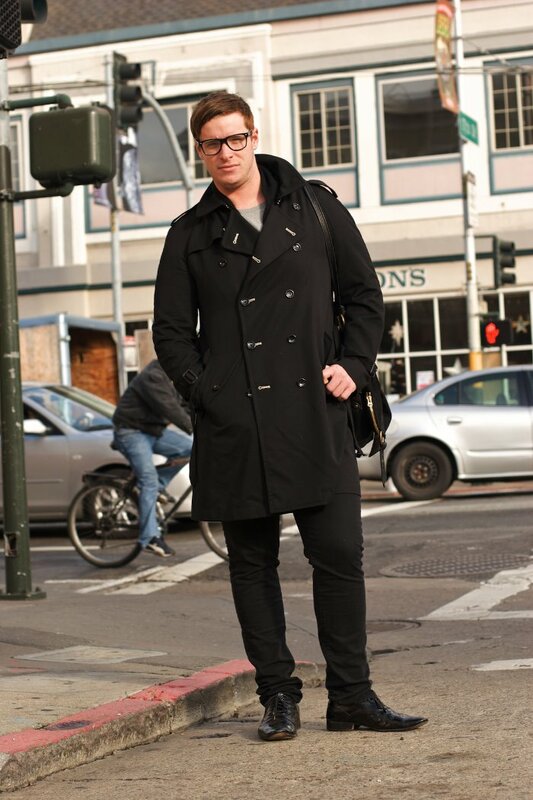 The beautiful black trench coat Matt is wearing is part of the recent Comme des Garcons for H&M collaboration. 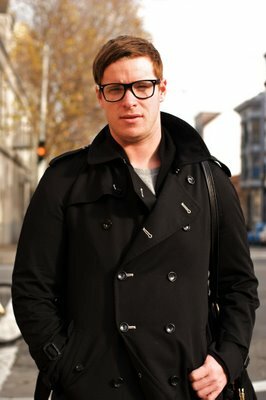 Of the collection, the trench was one of the most sought after pieces in the men's collection. Needless to say, the trench looks great on him!